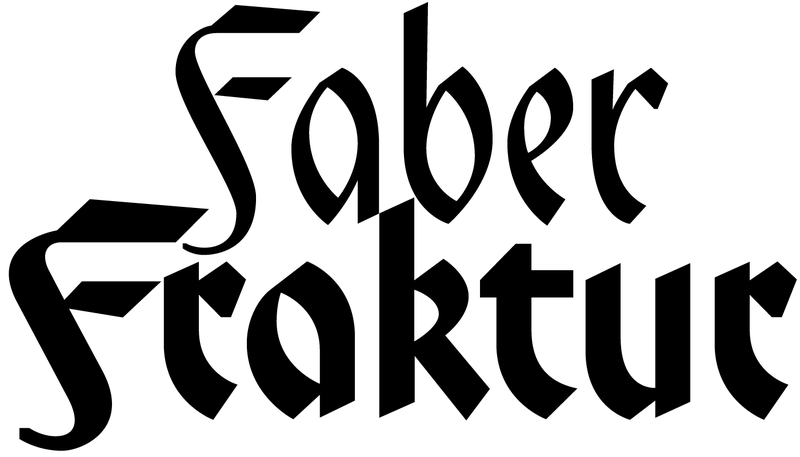 Faber Fraktur was based on the idea that it must be possible to create a modern black-letter type. The typeface is ”constructed“ according to the same principles as a script without serifs: as few varied basic forms as possible, omission of frills which make the type difficult to read and repetition of similar forms. 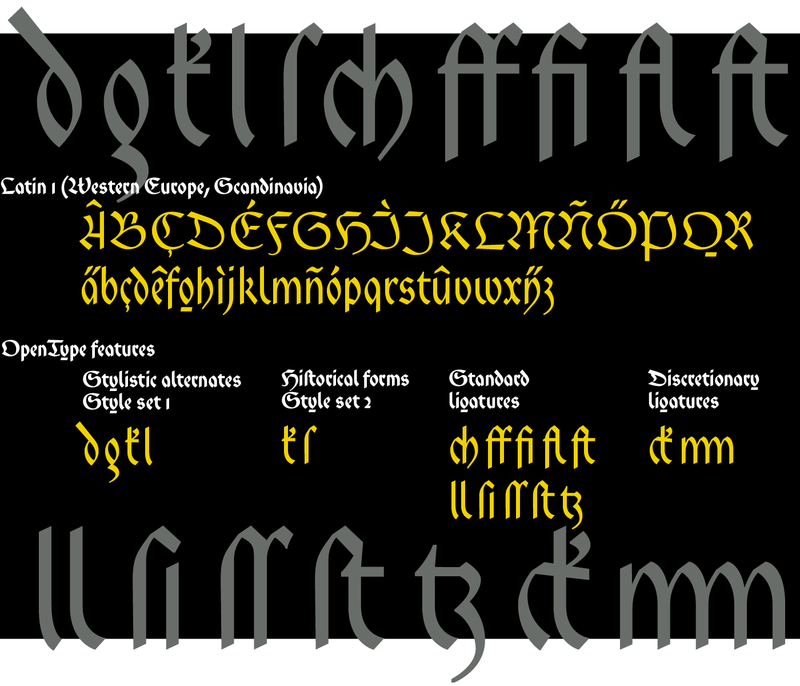 The typical contrasting strokes of the original handwritten black-letter script are retained nonetheless. The elements of this typeface were even pre-formed with the quill. All characters are reduced to their basic skeleton. The fanciness and manifold ”breaks“ or fractures typical of black-letter typefaces are considerably reduced to just a few essentials. 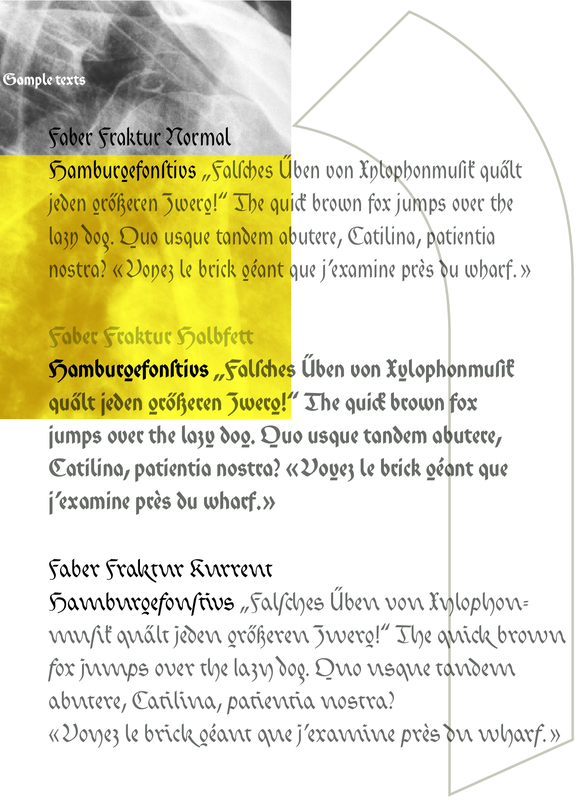 Faber Fraktur is a very legible type perfectly suitable for long texts. It does not appear nearly as foreign and archaic as the old black-letter fonts. 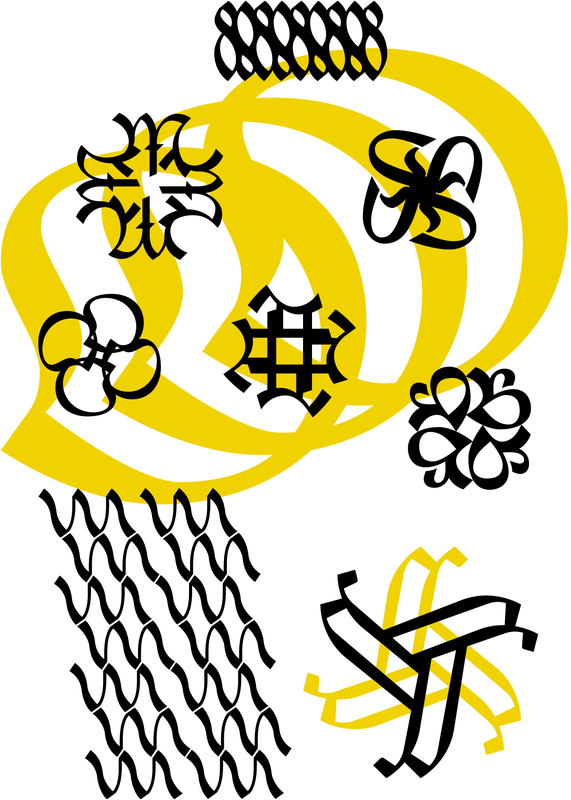 The capital letters especially have a charm of their own radiating a kind of playfulness in spite of their severe form. Alternative forms are available for the characters dgksx which replace the historical form in part with one more contemporary. 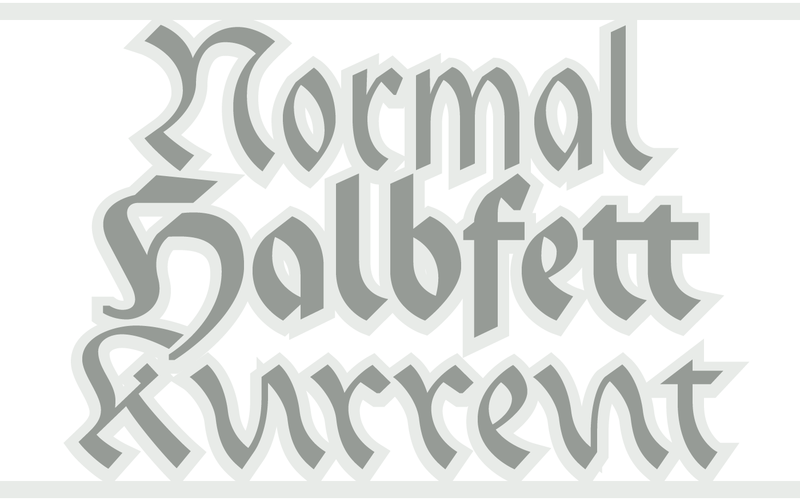 Typical for black-letter typefaces is the long s which is replaced only at the end of a word or syllable by the „ordinary“ round s. Faber Fraktur also includes some ligatures which allow the sentence to appear more connected.